YONKERS—The Board of Directors of the Yonkers Industrial Development Agency has approved a resolution of intent earlier this month with the developer of a former loft warehouse in the Carpet Mills Art District. The 55,000-square-foot building was damaged by a fire in 2017 and is to be completely renovated in two phases beginning in January, according to Ruben Guerrero, principal of Momentum Realty. 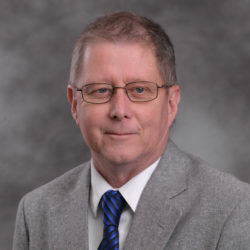 IDA financial incentives for the $11.7-million project include $240,513 in sales tax exemptions and $137,147 in mortgage recording tax exemptions. The project is being done as part of the Yonkers Opportunity Zone, which is designed to spur development and create jobs. In other Yonkers news, the Municipal Housing Authority and the City of Yonkers and the City of Yonkers announced that Martinelli Manor, a 45-unit senior housing complex in East Yonkers, is the latest to benefit from renovations as part of an ambitious three-year plan by the authority and the city to upgrade more than 1,700 units of affordable housing in Yonkers. 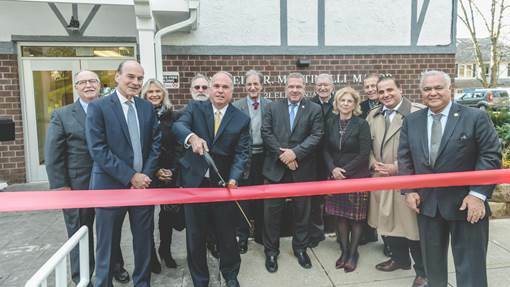 On Dec. 3, city, state and MHACY officials and members of the Martinelli family unveiled the newly renovated building with a special tribute to the late Mayor Angelo Martinelli, who the complex is named after. From left: Yonkers Council Minority Leader Mike Breen; Yonkers City Court Judge Michael Martinelli and his wife Jeanne Martinelli; Yonkers Council Majority Leader Michael Sabatino; former Yonkers Councilman Richard Martinelli; MHA Director Joseph Shuldiner, Yonkers Mayor Mike Spano; Vice President of MHA Board Larry Sansone; New York State Senator Shelley Mayer, Yonkers Councilman Anthony Merante; Yonkers City Council President Mike Khader; New York State Assemblyman Nader Sayegh. More than 25 pieces of memorabilia were on display, including photos, the glass insert from the mayor’s door in City Hall and a gold record of the city’s 1970s theme song “I Believe in Yonkers,” which was orchestrated by Martinelli as part of a marketing campaign. Martinelli, the city’s longest serving mayor, died on Oct. 27 at age 91. The display added the finishing touches to the $5.2-million renovation, one of many going on at affordable housing complexes across the city. The interior and exterior work includes painting, new flooring, new kitchens and bathrooms with energy efficient appliances and lighting. Apartment lobbies and elevators have been upgraded and new exteriors and windows added as well as improved handicapped accessibility. Yonkers Mayor Mike Spano said that Martinelli would have been gratified to see the renovations completed. The event was attended by New York State Senator Shelley Mayer and members of the Yonkers City Council as well as members of the MHACY Board and past Housing Authority officials.